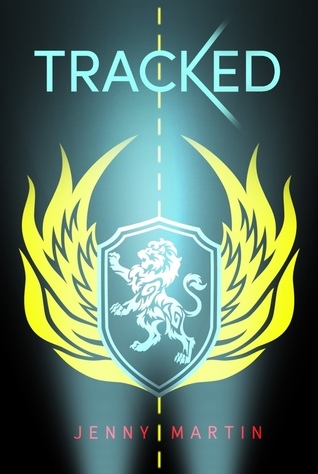 First Line: "I pace the garage like some crazy-eyed wind-up girl"
Review: What drew me to Tracked was the whole racing element of it and for a dystopian book it was pretty good but eventually as I continued reading besides the racing it felt like every other dystopian novel out there. Phee is one of hell of a street racer, she takes after her famous racer dad whom she never really knew because he eventually disappeared, anyways Phee gets arrested and it's either go do prison or race for the corrupt Benroyal. Throughout the story Phee discovers a lot of secrets about herself that she didn't know, she meets people who are against the current way the government is set up and gets in line with them to take Benroyal down. For the most part, I liked Phee but didn't really connect to her character and at times didn't really like how she didn't think before she acted in certain situations. There is a love triangle which I was not a fan of at all. We have Bear who is Phee's lifelong friend but besides that little fact I don't feel his character had any depth. The guy I liked and would have loved to read more about was Cash, he had depth and a purpose. What I was a little disappointed about was the racing, which was the main reason I picked up the book sadly there wasn't as much racing as I would have liked. It's like the racing took the backseat while it concentrated on Phee and her boy problems along with how to take down Benroyal. Also the ending has a major cliffhanger usually a cliffhanger makes me want the next book but with this one I'm a little annoyed with how up in the air it all really was so I'm not sure if I will be picking it up. ~"I can race, but I cannot run. I can live, but I cannot breathe."